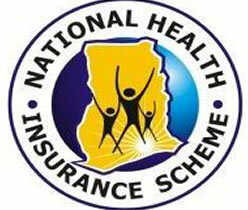 Very Soon the Central Government is going to cover all the people under the National Health Insurance Scheme. Deputy Chairman Montek Singh Ahluwalia of planning commission informed that through this people will get better health services. As a chief guest Montek Singh was present at the Golden Jubilee celebrations of P.G.I. Montek said that in center’s 12th Five Year Plan is considering for increasing the budget for health sector. Only four percent of the cost of Gross Domestic Product (GDP) is spending in the health sector. There is three percent spending in the private sector, and the public sector spends only one per cent. State governments with center government should increase the budget in this area. There is regional imbalance in health. Services are the best in the south, the north is lacking for this. Medical colleges are evolving rapidly in the southern states. Public health is better in the state of Tamil Nadu. According to Ahluwalia, this field cannot be handed over to the market. City’s survey explations that, 70 percent of the Allopathic Medicine providers are fraud, who have not passed 10th also. There is serious shortage of nurses in the country. On this occasion, Pawan kumar Bansal who is minister of union Parliamentary Affairs and Water Resources, said the country now has 6 to 7 million doctor, but there is need of about 14 to 15 million doctor. For that there is need of high quality education for better doctor. The growth rate will be six per cent.